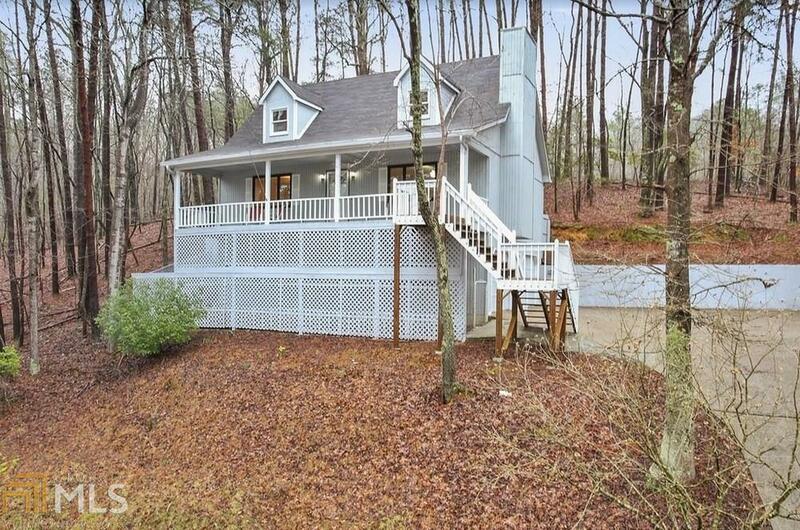 Lovely updated home perched on a hillside overlooking a beautifully wooded neighborhood w/ a community lake & full amenity package. As you relax on the over-sized front porch you can actually feel the stress of the day diminish as you watch the deer play in the woods. This spacious, open concept features a living area w/fireplace, kitchen & dining on mail level along w/the owners suite. The house has been freshly painted & all counter tops have been replaced with granite. The upstairs bdrms are large & the dormers add additional light & openness to the rooms. The basement has plenty of room for a workshop. Directions: 575n To Exit 20. Left On Hwy 5. Right On Reinhardt College Parkway. Right Onto Hwy 140. Left On Little Refuge Rd. Right Into Neighborhood At Fountains. High Point Rd Changes To Hillside Drive.